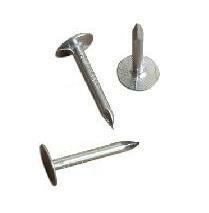 PRODUCT: 7/8" Electro-Galvanized Roofing Nails, 11 Gauge (0.120") Shank, 3/8" Head, 50 Lb. Box Price/Box. QUANTITY: Packaging: 50 Lb. Box. About 15,000 nails per box.